Trade secrets are valuable business assets, and trade secrets are not the dramatic stuff of Hollywood action movies locked up in high-tech vaults. Under the California Uniform Trade Secrets Act (“CUTSA”), Cal. Civ. Code § 3426.1(d), trade secrets can be mundane like customer lists, pricing sheets, and delivery schedules. It is important to have a good San Diego corporate attorney give advice and counsel with respect to protecting your trade secrets. One key factual component of nearly every trade secret lawsuit is the existence of confidentiality and nondisclosure agreements. Having those types of agreements — and having the right types of agreements — is important. As the courts are now interpreting the trade secrets laws, not much is required to prove a case of trade secret misappropriation. A recent case from the US Court in Los Angeles provides an example. See Sun Distributing Company v. Corbett, Case No. 18-cv-2231 (S.D. Cal. Oct. 12, 2018). In Sun Distributing, the court found that Sun Distributing met this standard with respect to customer lists, distribution maps, customer needs, and pay rates. That information was commercially valuable (if only slightly). Not much commercial value is needed. In addition, the company had taken at least some minimally reasonable step to secure the information, including inserting confidentiality provisions in its employee contracts. The facts of the case were that a general manager for Sun Distributing, Paul Corbett, resigned and, shortly thereafter, began attempting to convince customers to switch to his new employer. When Corbett began working for Sun Distributing, Corbett signed an employment agreement which contained a confidentiality provision. Essentially, he agreed not to use Sun Distributing’s trade secrets after separation. Sun Distributing learned of Corbett’s efforts to convince existing customers to switch to his new employer from one email that was accidentally sent to Corbett’s old email address at Sun Distributing. This single email was held to be sufficient to justify imposition of a temporary restraining order. Based on the foregoing, the court held that the defendant “used” the customer and pricing data that was trade secreted by Sun Distributing in an effort to lure the customer away. 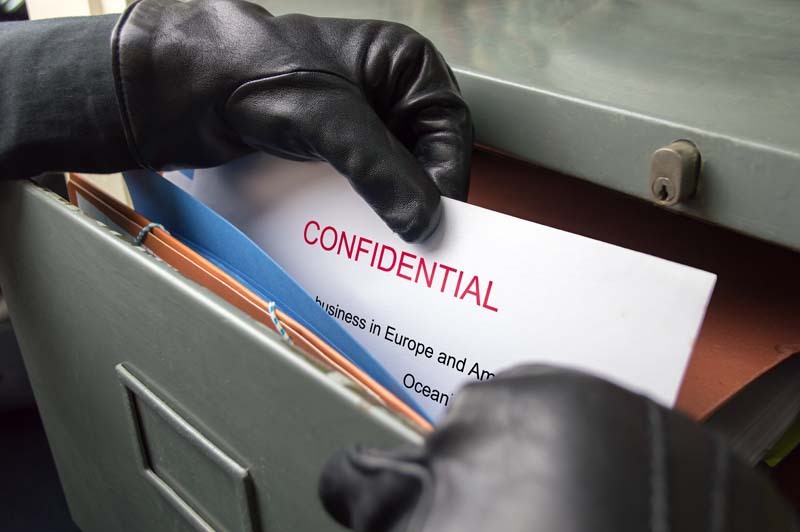 As can be seen by the case example, it does not take much to have protectible trade secrets in California and it does not take much for a court to hold that a trade secret has been misappropriated. For more information, contact corporate attorney Michael Leonard, Esq. at San Diego Corporate Law. Mr. Leonard has the experience to draft your contracts properly to help you protect your trade secrets. San Diego Corporate Law focuses on providing transactional legal services for San Diego businesses. Contact Mr. Leonard by email or by calling (858) 483-9200. Need Help with Trade Secrets?